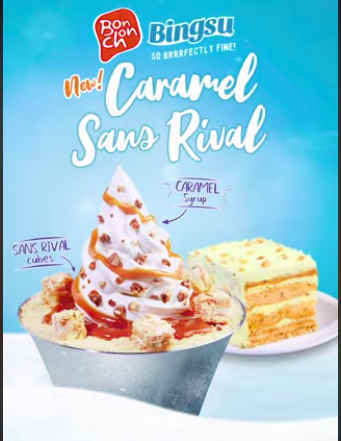 Experience a different kind of sweetscapade with our newest Bingsu flavor: Caramel Sans Rival! Treat yourself to drizzles of caramel syrup with chewy sans rival cubes, topped with premium Milky Kreme. Bite into a Brrrfectly fine delight!